Model Bunks, Prisoner Barracks, Dachau, originally uploaded by Eric Jeschke. 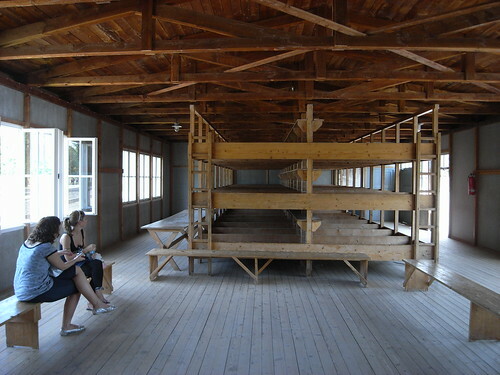 Two visitors appraise the model bunk beds in the restored prisoner barracks building at Dachau memorial site. Prisoners were stacked like sardines in a can.